NOW BOOKING for 2016 - Make sure to get a spot for this coming season. We run both morning and afternoon charters each day. 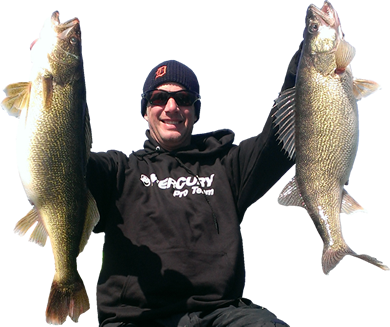 From Ice out (late March) thru mid-May the Detroit River offers some of the finest walleye fishing in the Country. Millions of Walleye migrate into the Detroit River from Lake Erie and Lake St.Clair to spawn. 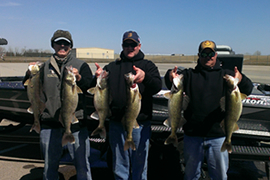 Both numbers and Big Fish can be caught during this six week window. If your after a true trophy(10 lbs) consider a trip on the Detroit River in Late March - Mid April. If your after numbers anytime is good but Mid- April thru Mid-May signal larger waves of smaller males moving into the river and limit catches are the rule rather than the exception. 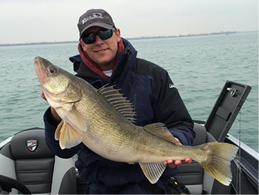 Book now and don't miss out on 2016 Detroit River Walleye Fishing.